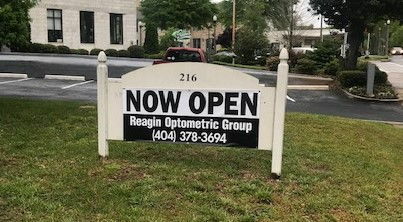 Reagin Optometric Group is a private practice located in beautiful Decatur, Georgia providing comprehensive eye care services for Decatur and the surrounding communities. As licensed optometrists, the doctors at Reagin Optometric Group provide exams and diagnose and treat many of the visual disorders that affect the eye or your vision. It is because of Reagin Optometric Group's dedication to eye care that our patients receive the most modern and progressive vision care available. Dr. Dyak, originally a native of South Florida, graduated from high school in Beijing, China, and then attended Miami of Ohio for her undergraduate education. She received her Doctorate of Optometry from Illinois College of Optometry in Chicago, IL.